After moving across the country, and getting a new hair cut you think starting over at a new school would be a new opportunity, but Hayley is stuck in between groups. Peers are pressuring her… but it’s up to you to choose her destiny. Coco and Whitney are the crowd-pleasing girls at Hillsdale High and they want Hayley to be one of them now that Sasha is no longer one of “them”. 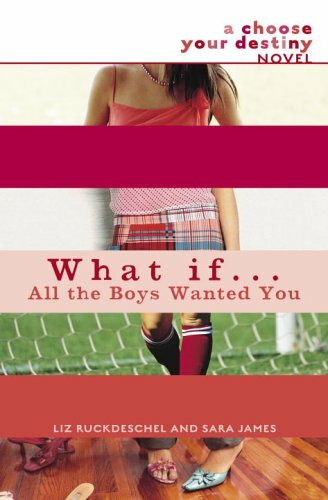 She’s confused about guys: Johnny, Drew, Reese, Luke, Spencer, Matt, Sebastian and Devon are all guys that have something she likes but she has to choose one or none and school life in general. As you’re reading this and your mind is racing, you can only imagine what Hayley was going through. Will you send her to his house? Or back home? If you choose the wrong thing you may to be directed back to the front to try again. This is not the first book in the series. You’ll have a very hard time understanding this one if you don’t read the other ones first. It’s an extremely quick read, but not very interesting. It wasn’t like real life because if you mess up and make the wrong decision in the book you can go back and fix it, but that’s nothing like reality. Hayley has a lot of decisions to make but a lot of jumping around to do. Help her pick the right guy and go to the right places at her new school to see if you end up going back to page one and starting over or ending happily.